Applications in the pharmaceutical industry of the fluidized bed granulator include the production of medicinal granules, capsule granules, and low sugar or no sugar granules of Chinese medicine. Foodstuff usages include the production of cocoa, coffee-mate, instant tea, juice dissolving granules, flavoring and so on. The fluidized bed granulator is used in many industries, such as agrochemical, pesticide, animal feed, chemicals, pigment, dyestuff and more. This machine also functions to dry powdered or granular materials. 1.With powder granulating, the flow property of materials is improved, and dust flying is reduced. 2. 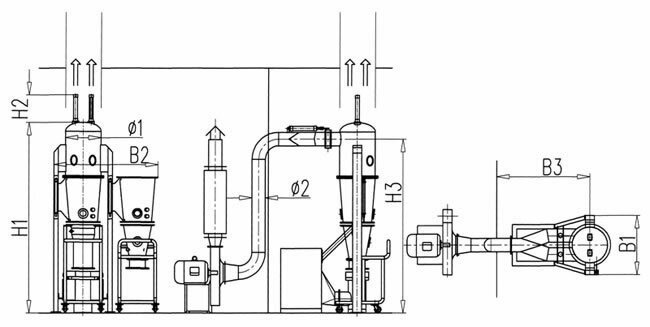 Using a fluidized bed granulator for powder granulating helps improve the dissolvability of the product. 3. Mixing, granulating and drying are achieved in one machine with one step. 4. It uses an anti-static filtering cloth to ensure safe operation. 5. 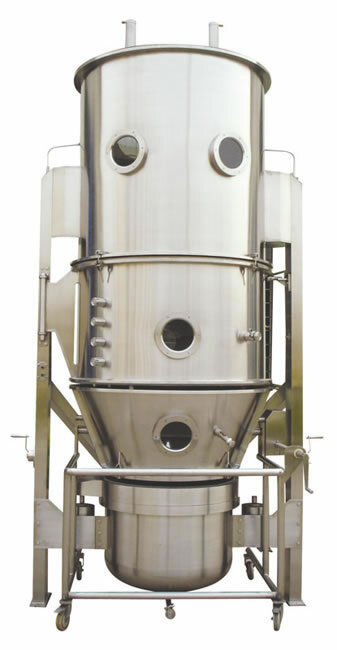 The fluidized bed granulator is equipped with an explosion-release port, in order to avoid any injury to operation personnel in case of explosion. 6. The structure of the machine is airtight. This prevents any dead angle, makes it easy to clean, and ensures no cross contamination of products, so they can meet the GMP standard. 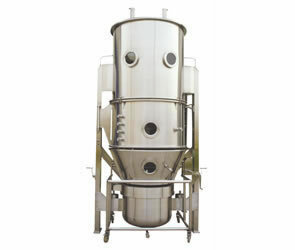 Xianfeng Drying is a specialized fluidized bed granulator manufacturer in China. We offer a fluid bed granulator, flash evaporation drying machine, circle vibrate sieve, 3-dimensional motion mixer, and more.